The outdoor hotspring was amazing- Private, clean, and open 24 hours. Everything was clean, nice, and as expected. Thank you. 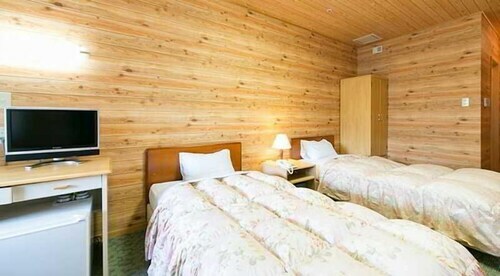 Situated in Tanabe, this hotel is 1.1 mi (1.7 km) from Kawayu Hot Springs and within 6 mi (10 km) of Kumano Hongu Taisha Shrine and Kumano Hongu Heritage Center. Hosshinmon-oji Shrine and Tsugizakura-oji Shrine are also within 12 mi (20 km). 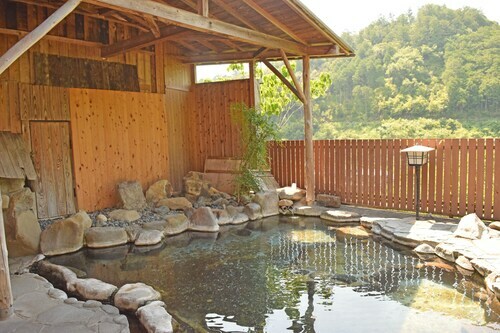 Situated in Tanabe, this ryokan is within 3 mi (5 km) of Kawayu Hot Springs, Kumano Hongu Taisha Shrine, and Kumano Hongu Heritage Center. Hosshinmon-oji Shrine and Tsugizakura-oji Shrine are also within 12 mi (20 km). 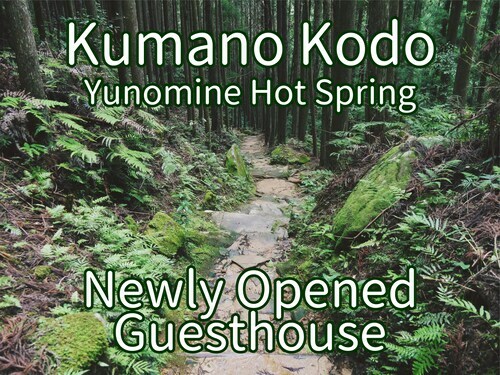 Situated in Tanabe, this hotel is within 3 mi (5 km) of Kawayu Hot Springs, Kumano Hongu Taisha Shrine, and Kumano Hongu Heritage Center. Hosshinmon-oji Shrine and Tsugizakura-oji Shrine are also within 12 mi (20 km). 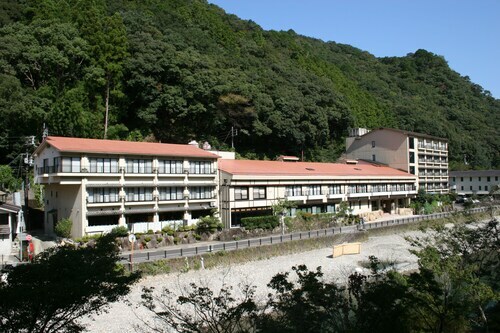 Situated in Totsukawa, this hotel is 0.1 mi (0.1 km) from Totsukawa Onsen and 2.3 mi (3.7 km) from Kumano Pilgramage. Tamaki Shrine and Kumano Hongu Taisha Shrine are also within 12 mi (20 km).